Most pro athletes (except maybe Allen Iverson) would likely agree with this quote. Training, healthy eating, and hard work are HUGE variables in becoming the best athlete you can be. – Average reaction time decreases by 320% if a person sleeps 4 to 5 hours every day for a week. Drinking about 5 beers leads to the same decrease in reaction time. – Skipping out on sleep decreases learning ability. While sleeping, the brain solidifies what has been learned while awake. Less sleep leads to a harder time for players to remember plays and other movements learned while training. – Sleep deprivation is around 10 times more harmful for adults of ages 18 to 25 than it is those over 60. This is because sleep is more restorative for adults 18 to 25. – Lack of sleep means less emotional control. Sleep has a strong control over emotional status and judgement, as you’ve probably seen from the level of irritability you feel when waking up after a night of poor sleep. Players that sleep less are more likely to lose control and get carried away by their emotions when the referee hits a call they disagree with or when opposing players get confrontational. After Dr. Czeisler explained the effects that poor sleep had on athletic ability, Doc Rivers was convinced. Rivers began adjusting his players season schedule to allow for more time to sleep. When playing away games, he would often try to schedule his players to get to their destination a day before the game so that they can get the right amount of shut eye before game time. The Boston Celtics haven’t been the only professional sports team to hire a sleep adviser for its players. 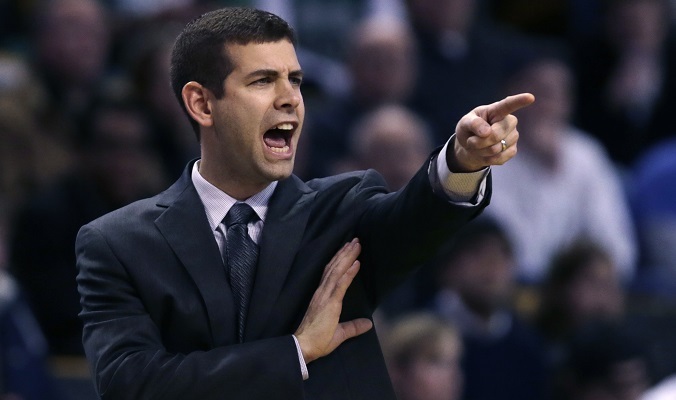 Butler Bulldogs coach Brad Stevens has worked closely with Stanford Researcher and Sleep Consultant Cheri Mah to implement ways to keep his players refreshed and at their peak during the College Basketball season. When you’re traveling around the country to play, establishing a sleep rhythm can be difficult. Many sleep experts, such as Dr. Czeisler, advocate for the power of naps, which offer a boost of focus and energy. Some schools, like Clemson University, understand these benefits and have created napping rooms for opposing players to use during game days. Though napping helps keep players refreshed, sleep experts agree that nothing replaces the restorative power of proper nighttime sleep. As an athlete, you place a much higher demand on your body than the average person. To win consistently, your body needs to be at its peak performance in terms of reaction time, stamina, speed, and mental processing. Oftentimes, this can mean sleeping longer than the average person. Check Out How Much Sleep These Pro Athletes Get Every Night! What Can High-Quality Sleep Do for Your Athletic Performance? Some studies have concluded that sleeping for longer periods of time increases movement speed and accuracy. One of the most concrete pieces of evidence supporting this comes from Stanford Researcher Cheri Mah. In her study, Cheri Mah had players from the Stanford University basketball team go 4 weeks with a regular sleep schedule to establish a baseline of their regular sleep habits. Afterwards, the players were placed on a 7 week 10 hour a day sleep schedule. – Team average sprint time decreased from 16.2 seconds to 15.5 seconds. In the game of basketball, where the difference between a successful play and a turnover lies within a millisecond window, these improvements are huge. It’s not surprising that Coach Stevens from the Bulldogs decided to consult with her about his teams sleep habits. Many sports test a players ability to think and react quickly. For example, being able to process an entire offensive and predict numerous plays is one of the most sought after qualities for top quarterbacks. In a study conducted by University of Texas researchers, a group of 49 West Point Cadets were tested twice with tasks that require quick thinking. For the first round, all 49 cadets took the tests with the same amount of sleep. For the second round, 21 of the cadets were sleep deprived and 28 were well rested. The results showed that the sleep deprived group had a 2.4% decline in quick thinking accuracy, while the group that was well rested saw a 4.3% increase in accuracy. In the same way that reaction times are important for most athletes, it’s likely more so for soldiers where the difference between a good decision and a life threatening one may lie in your quick thinking. Sleep is the body’s main restorative force. When you sleep, your body begins to repair itself by entering an anabolic state that restores the skeletal, immune, nervous, and muscular systems. For weight lifting, sleep is directly associated with the process of building muscle. As you sleep, your body starts healing the muscle tears created through workouts by generating new muscle. This is what ultimately leads to greater strength and more muscle mass. As a result, skipping out on sleep hampers the muscle building process and makes the workout much less effective. How Can You Get Better Sleep Starting Today? Due to their large size and weight, many NBA players suffer from sleep apnea, a disorder that causes you to wake up unknowingly throughout the night due to an airway obstruction. Sleep apnea is a very significant source of sleep deprivation and has a negative impact on the cardiovascular system among other things. Treating sleep disorders like sleep apnea is guaranteed to improve your sleep quality and allow you to get more energy and focus out of the time that you spend in the sack. To find out if you’re at risk for sleep apnea or other common sleep disorders, check out The Five Sleep Disorders That Adults Often Face. If you’re placing higher than average physical demands on your body, you might want to consider sleeping more than the average 7 hours a day. In the same way that an athletes body requires more calories and nutrition to sustain energy demands, may also have to sleep for longer periods of time. That being said, sleeping for longer amounts of time will not do you much good if you’re being affected by an untreated sleep disorder. For that reason, it is important to begin treating any underlying sleep conditions that may exist. Check out the 7 Best Ways To Sleep Better And Faster Starting Today [Infographic] to learn some fast tips that you could be doing to improve your sleep and take your athletic performance to the next level. Sleep is, hands down, one of the most important body functions. It’s unfortunate that it is so often neglected and not given the attention it requires. Thankfully, professional sports teams around the nation are finally starting to emphasize it. Sleeping 12 hours a night will not automatically give you a spot in the Golden State Warriors roster. However, now that we’ve seen how sleep affects athletic performance, we can say that it surely helps. Please share this post with others or leave a comment below if you know any more famous sports players with long sleeping times. I have been playing basketball for a long time and was wondering this exact question, does sleep affect my performance? That’s because on top of my sport, I am currently studying which results in me not having much time to slumber. After reading your article, I think I really should consider my priorities. Thanks for your article and looking forward to the next! Studying really does makes things more difficult if you’re trying to greatly improve your basketball abilities. I would say that at that point, you should really try to find the time to sleep more as it will increase your athletic performance in addition to improving your ability to learn and do well in school. So many people misunderstand the importance of both rest and sleep. Training is only part of the equation. Its during rest and sleep that the body recovers and recovers stronger. Which is the point of training! While Iron distance triathlon training I sleep an awful lot, my body is so tired from the long hours spent training. So it needs a lot of sleep to recover, and improve!